Ehhh, It Depends, Who’s Asking? | Enough Talk, More Writing! Ehhh, It Depends, Who’s Asking? Paddy’s day got off to a tremendous start. As a result of being hungover, trying to remember the words of my karaoke song from the night before, but mostly, pure dumbness, I somehow turned on the blender without the top on. Which ruined my t-shirt. Which was green. Which I wore to remind the hot girl at the front desk in the gym that it was Paddy’s day, in case she forgot. There went my ice breaker and smoothness. 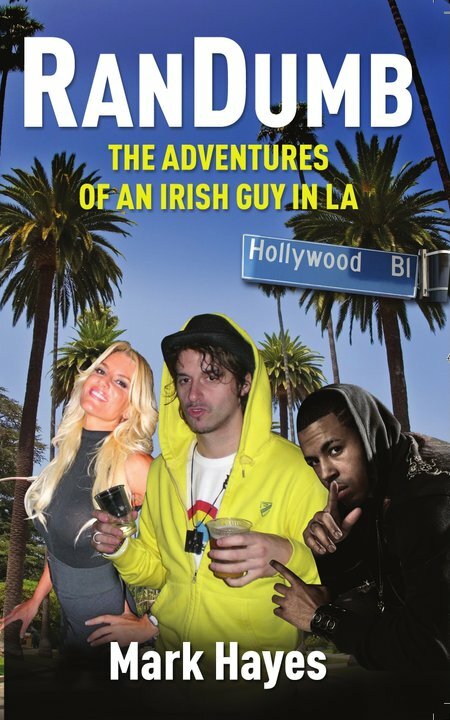 I still wasn’t sure when or if they really celebrated Paddy’s day in LA as much as other parts of Emerica. I’ve yet to go to an Irish bar at night, only during the day once when the Mexican dude couldn’t understand my accent. As a result I wasn’t able to go to my local and suss it out. So I was underprepared to finding out the extent they celebrate it, especially in a gym, in a very, very gay area. I walk in to a complete sea of green – green balloons, green streamers, green banners, green flags, green hot pants, green sweat bands, green shamrocks face painted, green grass, green everything. They wasted some amount of money on turning the gym into the Emerald Isle. I think I was the only person in there not wearing at least one item of clothing with green in it as well. And I was the only Irish person in there. I get to find this out later. There’s no sign of the hot girl at the desk who usually greets me with a nice, enthusiastic, fake “Hey Eric, have a great one!”. My icebreaker would have been wasted either way. I’ll have to give her a toor-a-loor-a tomorrow instead. However, I’m still greeted, just now by a hyper “Yippee, its Merrick, the Irish man, on Ireland’s day, high five!! !” I had forgotten, in my dumb state, that seeing as it was so early in the morning, about half 12, my buddy who hooks me up with the free gym would be working. And he is delighted that I’m here on this great day for Ireland. And he’s wearing an Irish jersey of some sort from the 90’s, but for what team or sport I have no clue. He keeps telling me its from Ireland, actually bought in Ireland. Good work buddy, I believe you, it’s horrendous looking, looks Irish alright. So we chew the fat for a while, ha, small talk about the calories in green beer, how my leprechaun farm is coping without me at home, how big my herd of lepri are (I tell him thats what we call leprechauns if there’s more than 100). This is making his day. So excited, hands clapping, high fives, wait until he tells the guys, have a great workout Merrick, cheers. That chat should’ve got me another few months of free gym anyways. Happy enough with it, I go see if Common needs me to spot him again. So I lethargically go upstairs, wander around by a few machines, mull over which one I would do if I had the energy, and get stopped by another guy who works in the gym. “Hi, are you Irish? You are!!! Thats awesome, I met an Irish guy on Patrick’s day. Great. Thanks”. And that was it. My buddy, free Jim downstairs, must’ve told the guys. Word was around. 3 more of the guys came up asking the same. “Are you Irish” Yes. “Thats so cool, good for you”. Thanks? It’s my new one talent. From now on if any girl asks the immortal question of who are you and what do you do, they will no longer hear “Homeless and unemployed”, but instead “I’m Irish”. Unless she’s not my type. Then I’ll just ask her for some spare change. So the gym wasn’t working out, decided I’d head home, must make a quick pit stop first. So I get into the bathroom, all the cubicles and stalls are taken. Have to wait I suppose. So I lean against the sink, my mind wandering off contemplating important issues, such as do I have another green t-shirt to wear that night, I do I think, is it clean, I hope it is, it is alright, might need to be ironed though. Thinking deep thoughts. I’m still feeling shook from the night before, tired, not at my sharpest. I’m being friendly at least though, hi, how’s it going, what up, just waiting for the stall. Plus there’s a savage song on my iPod that Im bopping along to. So, at this stage, I’m more or less hanging around the guys bathroom, saluting randomers, chilling, almost loitering, practicing dance moves in my head, at the busiest time, and probably as a result, with more than the usual ratio of gay guys there. This clicks, I give the guys highs fives and scuttle home. No more early morning gym sessions for me if that was anything to go by. So I’m looking forward to round two of celebrations that night, if the gym was that crazy about the Irish thing, any bar or club I go to will be sham-rocking (ha, horrendously good). My accent and Irish authenticity will be golden, “I’m Irish” is all I’ll have to say, in like flynn, out like a trout, I’m pumped. Plus, even better, the green t-shirt is clean. Tonight is going to be brilliant! I am invited to a Korean restaurant (as you do on Paddy’s day), where my roommate’s friends were having a party. Everyone is decked out in green, accents are being put on and thrown around everywhere, actually good Irish ones for a change, actors and all, green beer is flowing, no-one’s on the dance floor yet, too sober, everyone’s at the bar or outside in the smoking room, its just like being home in Ireland! So, Im introduced to some girls by a buddy, tells them how I’m actually Irish, he’s trying to use me to get in, use on! They don’t believe me, stop putting on that accent, where are you really from? No, seriously, I am Irish, look, I’m wearing a green t-shirt, just like everyone else, and listen to my accent. They still don’t believe me. Where are you really from? I stoop to the low of whipping out my passport. Thats not you – it is, my hair was shorter in the photo – no, its not, where are you really from? At this stage I’m almost pleading with them to believe me that I am Irish. One girl has even lived in Cork for a year and still won’t buy it that I’m Irish. What the funk?!!! This wasn’t part of the plan. I am Irish, please believe me, ring my Irish phone number, I am Irish, look, here’s my Irish credit card, go, use up the last €24 on it, just believe me that I’m Irish!!! This put me on the defensive for the night. There was no sham-rocking. When one girl replied with an innocent, yet questionable, “No, really?” after she asked where I was from, I just reverted back to being homeless and unemployed, not sure where I’m from really, any spare change? The dream was over. The only person to get excited about me being Irish was Hyde from That 70’s Show, sound dude. He too was Irish, part anyways. Part Hungarian, Bulgarian, Welsh, Scottish and American too I think. 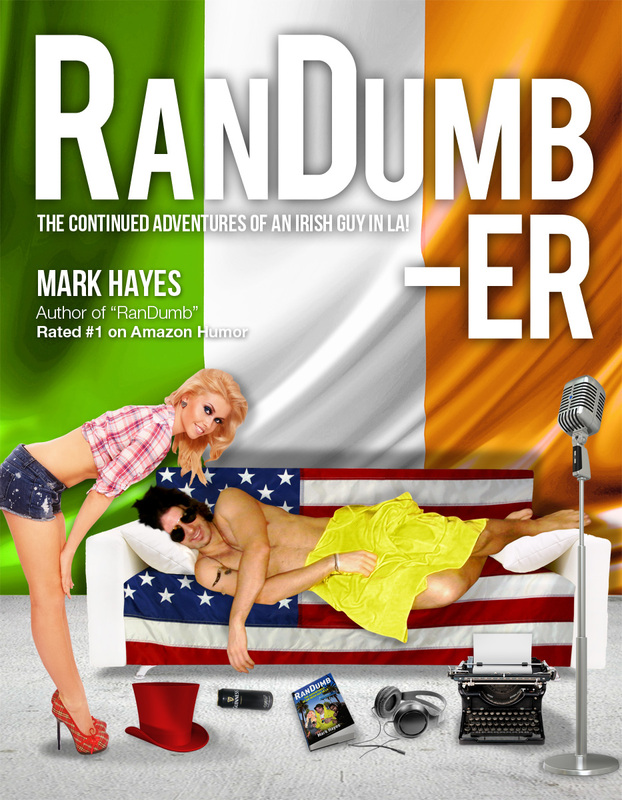 So if you’re Irish and happen to be in Hollywood next Paddy’s day, be prepared that you’ll impress the guys, and drive the girls away. Happy days. Song of the day is the song that had me jiving around the bathroom in the gym… You Made Me Like It by the 1990s. Just tell them you’re a shepherd. Tried and tested by Krin.